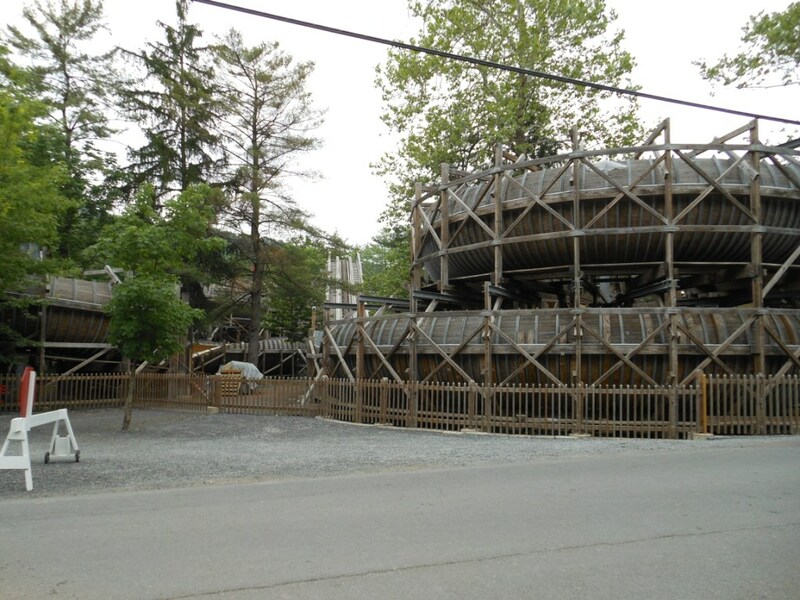 The day after conquering Skyrush at HersheyPark I headed over to Knoebels Grove in Elysburg, Pennsylvania. 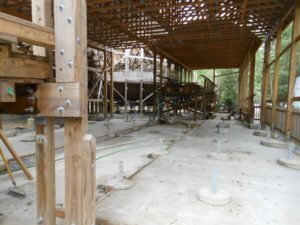 The first thing you probably want to know is what is the status of the Flying Turns-the wooden bobsled coaster straight out of the twenties that has been under construction for six years and counting. There wasn’t any activity on the ride while we were there. 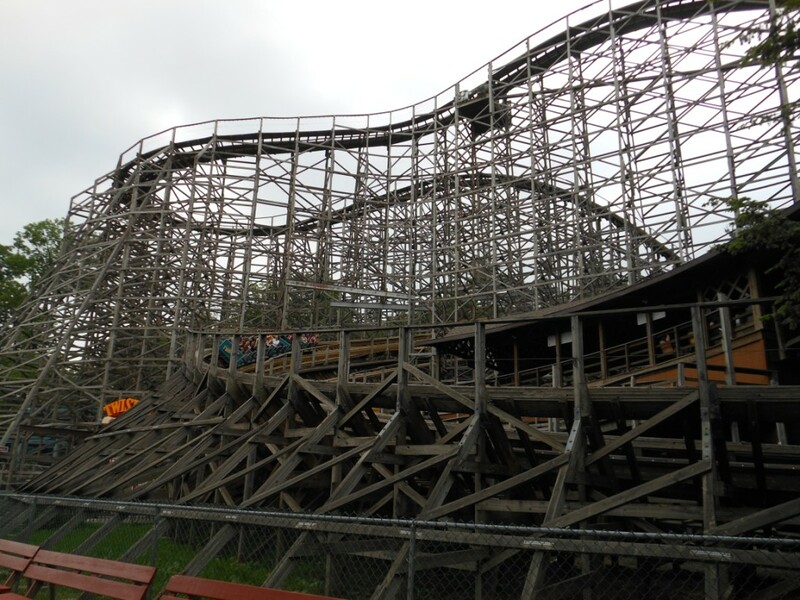 A posted sign said the park is waiting for a new train to be manufactured so testing can resume. As you can see in the pictures below, the entire transfer track area has been removed. 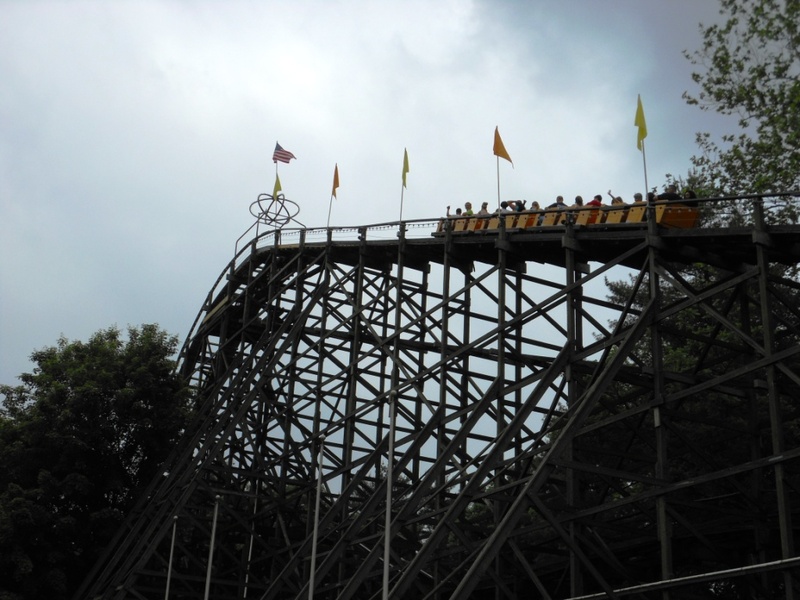 It seems to me the Knoebels Flying Turns was created backwards: the track was built before they had a safely working car design. Now they are forced to engineer the car to fit the existing track, thus placing limitations on the possible design of the car (roll rate, length, etc.). 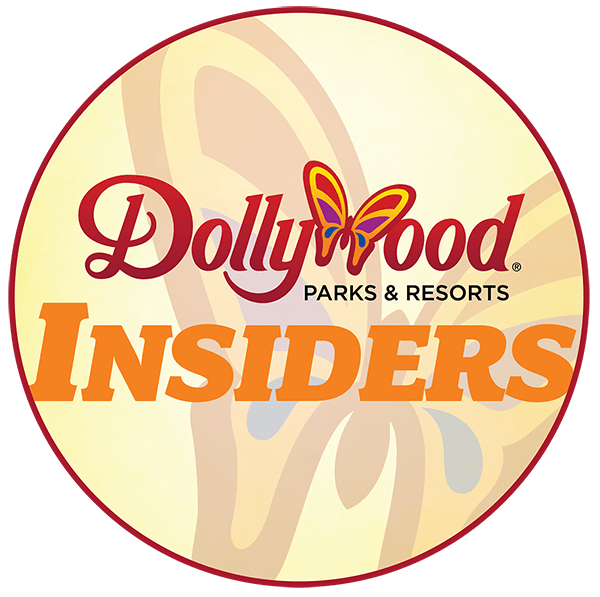 In hindsight, I bet the park wishes they had only constructed a short test track in order to confirm their car design actually would work before moving on to the full scale attraction. Hopefully a solution is in site. 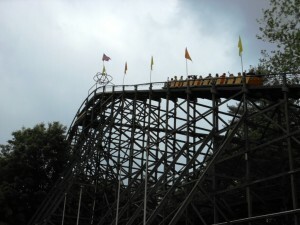 Twister is a unique roller coaster because of its “split/double” lift hill. 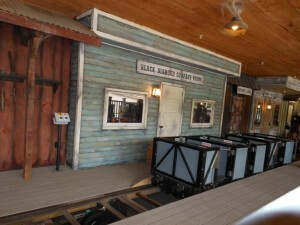 The tunnel is a surprising element hidden within the ride, especially because of the cool temperatures. The Haunted House, of course, is a must ride for every visitor. It’s one of the best in the country. We had to watch the carousel too because it’s one of only a handful that still have a ring dispenser. I was surprised by the number and the amount of quality show scenes inside Black Diamond, Knoebels’ newest (relocated) thrill ride. They did a wonderful job with what I am sure was an extremely modest budget. Bravo! Phoenix is still the king of airtime, mainly due to the “buzz bar” restraints. These lapbar are connected to the back of the seat in front of you and only come down 90 degrees. If you’re a skinny or smaller person there could be six inches between the top of your legs and the bottom surface of the buzz bar. 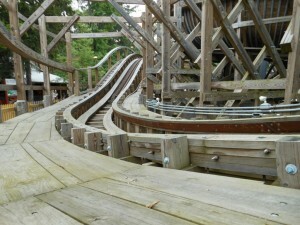 The airtime is so strong and the restraints so open you are practically “stood up” going over the hills. I like to call it standing air time. 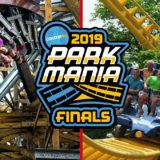 I wish every park’s operations were as quick as Knoebels. 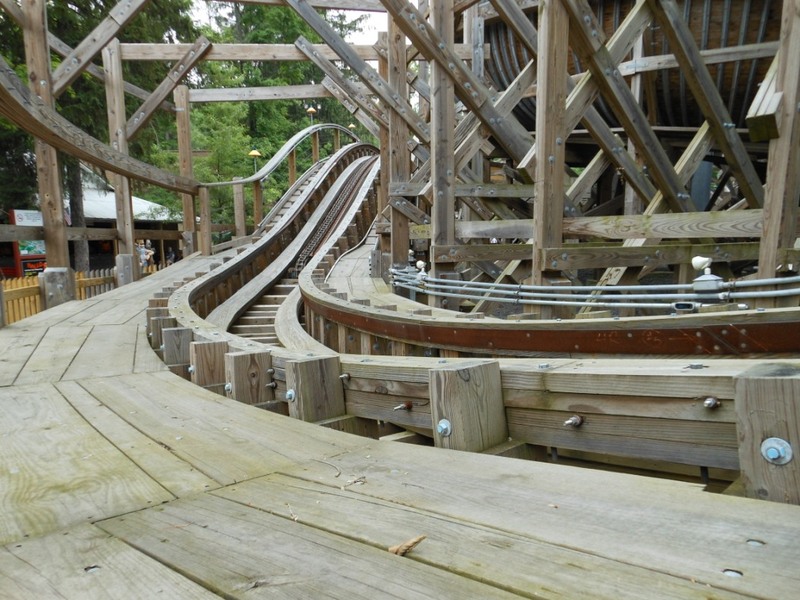 The crew on the Phoenix were getting more people through with one train operation than countless other parks do with two or even three train operation! Now, it helps that Phoenix doesn’t have any annoying seat belts but they were really hustling people through. Mad props to you guys! Last Wednesday the maintenance people were doing work on Flying Turns. The one I talked to (very briefly) said they’d made some progress with the cars but of course a date that it will be finished is not available. It was refreshing to see a fast approach to train dispatches at Phoenix and Twister — very different than the corporate parks. Thanks for the update Mark! Good to hear work is still progressing. I agree with you on the dispatch times – I wish the corporate parks would take notice.